Roulette is the casino world’s most classic and beloved game. Simply every casino player loves the game. 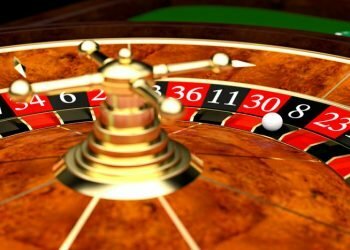 Roulette is simple and the rich variety of betting options makes the game very challenging for the astute player. Thanks to today’s developments in online casinos, the game of roulette is fast paced and highly dynamic.At SuperLenny you will enjoy all the latest forms of roulette. 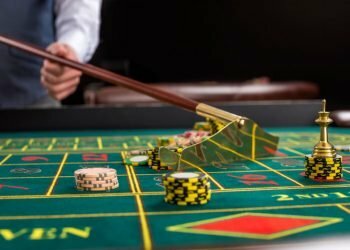 Try all the classic versions of French and European roulette along with Live Roulette with a real dealer spinning the wheel right in front of your computer or mobile. All you need to do is open an account and start playing today. The game of roulette was invented in France by Blaise Pascal in the 17th century. During a research experiment of building a time machine (which obviously failed) Pascal came up with an idea of a ‘small wheel’ that he also named ‘roulette’. Eventually it became amusing to use this wheel in parties and other social events. 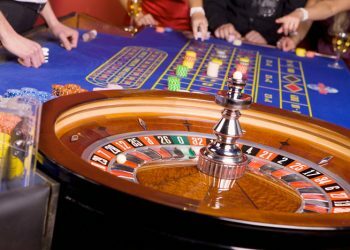 Today’s roulette has kept its basic concepts and rules but thanks to online casinos, new game dynamics and features have been added. Now you can enjoy everything from progressive roulette online with massive jackpots to Multi Wheel Roulette action. The game is even more accessible and user friendly. You can enjoy it instantly from home on your computer or in your summer house via your mobile or tablet. It is hard to say no to online roulette – especially since payments are fast and safe. Besides, if you have any questions, you can always to talk to live support. The objective in roulette is to predict where the ball will end up in the wheel. Depending on the number, number sequence, color or even/odd number, the house will pay you different amounts. So-called inside bets (i.e. specific number(s)) are riskier bets with higher payouts, whereas outside bets are more likely to win but with smaller payouts. Straight number: If you bet on a single number your payout will be the highest possible – 35 to 1. Split bet: If you place your bets between numbers – a split bet – and win, your payout is 17 to 1. Street bet: By placing your bet along a row – ‘a street’ – of three numbers to include all these numbers, your payout is 11 to 1. Corner: If you place your bet on the intersection of four numbers (the corner), you are getting 8 to 1 to split your bet between all four numbers. Six line: Betting on six numbers through a ‘six line’ means you put your chip on two adjoining streets. This is the same as betting on two streets and pays 5 to 1. Colour: Pick your colour of the numbers displayed on the wheel – red or black. Payout: 1 to 1. Even/odd: If you bet on an even or odd number between 0-36 you get paid 1 to 1. Column: A column represents one third of all available numbers. If the ball lands in one of your column sections you get 2 to 1 on your money. Dozen: If you bet on groupings of twelve numbers (1-12, 13-24 or 25-36) – dozens –you get 2 to 1. Online Roulette at SuperLenny is very easy and smooth to play. Pick any roulette game of your choice. To make a bet you click on a chip and place it on the part of the table according to the payment structure. It is just as easy to cancel your bet by clicking on your placed chips to remove them from the table. Once you have placed your bet, all you need to do is click on ‘Spin’. You will clearly see where the ball lands and hence see if you have won or not. Winnings are paid instantly according to the payment structure. This is how easy roulette gets. The classic version from France. The European Roulette wheel has 37 numbers ranging from 0 to 36. The house edge is 2.7%. This is the roulette game you should play if you are new to the game. American Roulette is a remake of European Roulette with one main difference. In addition to just one zero (0) the wheel has an extra double zero (00). This naturally favours the house, but it also creates some interesting new betting features. The overall house edge is 5.27%, which is considerably higher than in European Roulette. Today you can actually experience the live casino feeling online. In Live Roulette you play against the dealer through a live stream cam where the dealer spins a real roulette wheel live on your computer or mobile/tablet. If you love a lot of action, you will find Multi Wheel Roulette one of your favourite games. Play up to eight wheels at the same time – in one and the same bet. Try this action game for real money when you have gained some more roulette experience. Your odds and winning chances are dependent on the roulette type you choose. 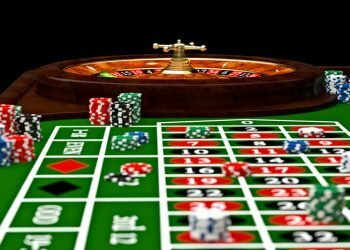 While European Roulette and French Roulette have the same basic rules, you are favoured by the added feature ‘La Partage’ in French Roulette. You also know that American Roulette has an additional zero on the wheel, which means a greater disadvantage for you as a player. Two green zeros will simply make it more difficult for you to win on even/odd number or colour bets since the house will rake in the money if the ball lands on any of these green spots. Keep in mind that you will always have a greater chance of winning on bets where the odds are low. For example, you will win more often on even/odd, high/low or black/red (outside bets) than if you are making a dozen or corner bet. To win on a straight number is a magical feeling, but don’t count on it to happen too often. 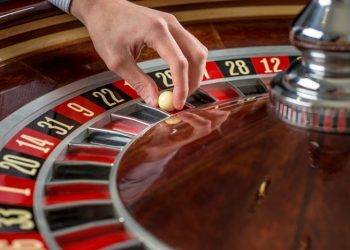 Statistically you are expected to hit your lucky number one in thirty seven times if you are playing European Roulette. Even if you hang on to your number until the 37th spin, in practice you might have to wait even longer. This can certainly be very costly if the luck is not going your way. There is no mathematical system to outsmart roulette – neither short term nor in the long run. On the other hand, you can control and shift your betting choices for your own good in order to avoid losing money too quickly. For example, you might start off with smaller amounts on the outside bets with even money payouts. If you were to pick up some winnings you could then continue with the same stakes but make a few inside bets and see if you can get lucky with some higher payouts. We wish you the best of luck at the roulette wheel!